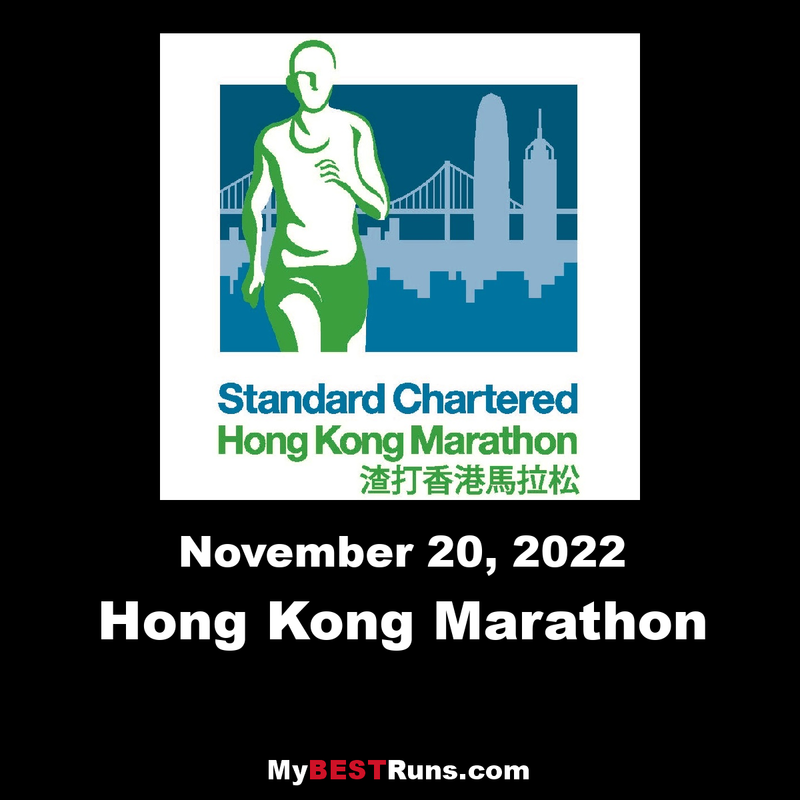 The Hong Kong Marathon, sponsored by Standard Chartered Bank, is an annual marathon race held in January or February in Hong Kong. In addition to the full marathon, a 10 km run and a half marathon are also held. Around 70,000 runners take part each year across all events. High levels of humidity and a difficult course make finishing times for the Hong Kong Marathon comparatively slower than other large marathons. The course records were both set in 2012 by Ethiopians: Dejere Abera has the men's record of 2:11:27 hours while Misiker Demissie holds the women's record of 2:30:12 hours. 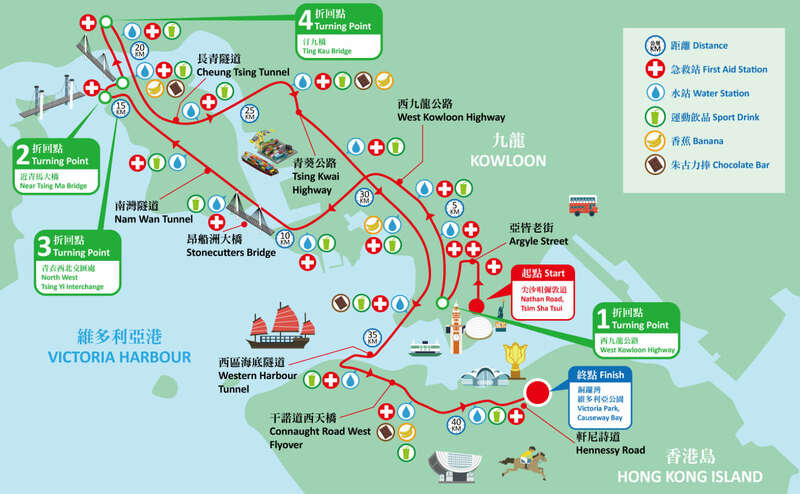 Hong Kong Marathon was first granted as IAAF Bronze Label Road Race by International Association of Athletics Federations (IAAF) in The year 2012 race, and it was upgraded as IAAF Silver Label road race in The year 2013 race and continued to keep this rating in The year 2014 and Year 2015 race. The Hong Kong Marathon has hosted the Asian Marathon Championship race on four occasions (2002, 2008, 2013 and 2015). 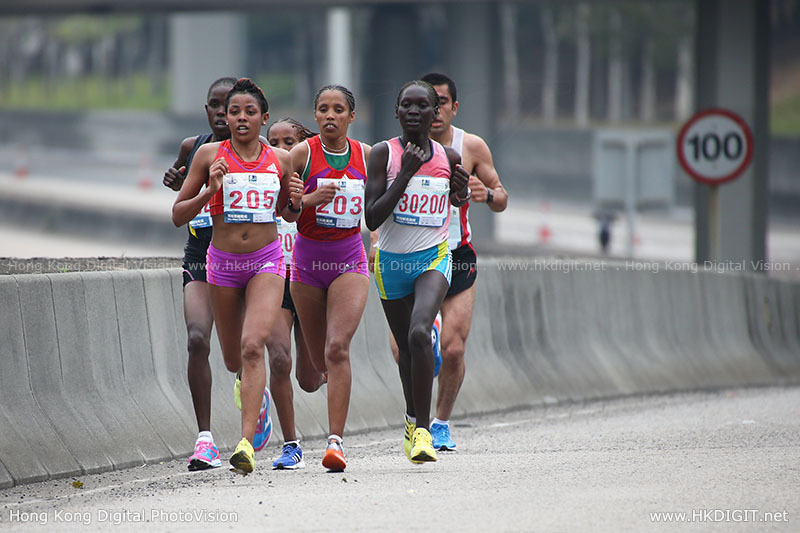 Ethiopia’s Gulume Tollesa successfully defended her title at the Standard Chartered Hong Kong Marathon with a course record of 2:29:37, while 44-year-old Kenneth Mungara beat opponents half his age to win theIAAF Gold Labelroad race in 2:13:39 on Sunday (21). Tollesa started with the intention of retaining her title, but the 25-year-old also had one eye on the course record of 2:30:12, set six years ago by compatriot Misiker Demissie. Joined by a small handful of athletes, Tollesa passed through 10 kilometres in 34:45 before reaching half way in 1:14:22, suggesting a finishing time within 2:30 was possible. The lead pack of Tollesa, fellow Ethiopians Meskerem Assefa, Fantu Jimma, Betelhem Moges, Meseret Legesse and Kenya’s Lucy Kabuu stayed together for another 10 kilometres, passing the 30-kilometre point in 1:47:09. Moges and Legesse were the first of those to fade, shortly followed by Kabuu. The remaining trio – Tollesa, Assefa and Jimma – ran together for another 20 minutes before Jimma began to drift back, leaving Tollesa and Assefa out in front. Tollesa proved to be the strongest in the closing stages as she pulled ahead to win in 2:29:37, six minutes shy of the PB she set when winning the 2015 Frankfurt Marathon. Assefa, the Rotterdam Marathon champion, finished five seconds adrift, while Jimma was third in 2:30:10. All three women finished inside the previous course record. Ethiopian runners filled the top five places with Moges finishing fourth (2:30:54) and Legesse placing fifth (2:31:00). Kabuu, the fastest woman in the field but contesting her first marathon for three years, finished sixth in 2:31:21. While the women’s race featured a small number of athletes out in front trying to challenge the course record, the men’s contest was a different story as a large lead pack of about a dozen men ran together for almost the entire distance. With the first 10 kilometres being covered in 32:30 and half way reached in 1:07:47, it was clear that the course record of 2:10:31, set last year by Belachew Melaku, wasn’t under threat. The defending champion, however, was in contention for much of the way and was part of the lead pack when they passed 30 kilometres in 1:35:53. The Ethiopian soon started to fade, though, while Mungara was biding his time. Locked in a battle with fellow Kenyan Barnabas Kiptum and Ethiopia’s Bonsa Dida, the trio upped their pace in the closing stages and eventually broke away from the rest of the pack. Mungara managed to shake off the last of his rivals as he entered Lung Wo Road and went on to cross the finish line at Victoria Park in 2:13:39, winning by five seconds from Dida. Kiptum was a further eight seconds in arrears. “The 19th kilometre was very difficult because it was very windy,” said Mungara, who has a PB of 2:07:46 and owns the world M40 best of 2:08:38. His next marathon will be in April at the Commonwealth Games in Gold Coast, a city in which he won marathons in 2016 and 2015. The top six athletes finished within a minute of each other. But Melaku, the defending champion, faded to 12th place in 2:16:57.